Mini dental implants were developed to help stabilize full lower dentures. Anyone who has had a full lower denture will understand how difficult it is to eat and speak with loose lower dentures. In most cases the jaw bone shrinks after the natural teeth are lost. This shrinkage causes the ridge on which the dentures sits to change dramatically. Each year the jaw bone will shrink a little more making a full lower denture more uncomfortable as time goes on. 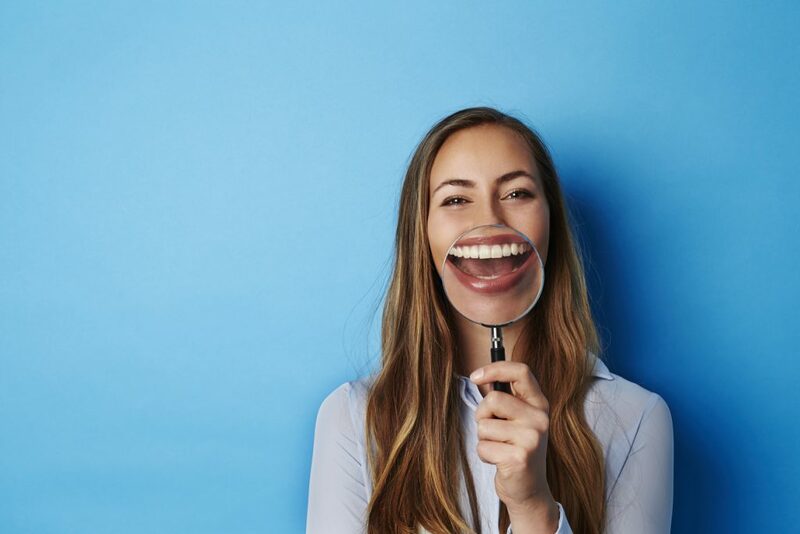 As opposed to upper full dentures there usually is no ‘suction’ on lower dentures as the surface area of the denture in contact with the gums is far less than when compared to an upper full denture. These dental implants are considered to be greater than 3mm in diameter and are used to replace single or multiple teeth. Conventional dental implants are shaped like a root and are inserted during a small operation. This is usually carried out at a dental clinic under local anesthetic or conscious sedation. 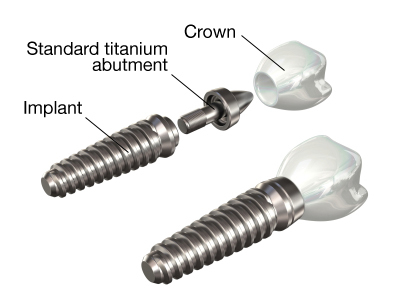 These dental implants are commonly used to stabilize dentures for upper or lower jaws. Well in essence the procedure of placing mini dental implants is considered to be a less invasive procedure. Since the mini dental implants are smaller usually 1.8mm in diameter the procedure of placing the dental implants is thought to be simpler than when placing conventional dental implants. The FDA (Food & Drug Administration) has approved the use mini dental implants to stabilize a lower full denture. Usually a minimum of 4-5 mini dental implants are used in order to stabilize a lower denture. When using conventional dental implants a minimum of 2 implants are used in order to stabilize a lower full denture. In both types of dental implants a lower existing full denture can be adapted to fit onto the implants immediately following surgery. The lower denture is converted with some small adaptors which click onto the dental implants. One will no longer need to use denture fixatives to stabilize the lower denture. Usually the length of surgery to place mini dental implants or conventional implants for denture stabilization is about the same. An experienced implant surgeon will take about 1- 2 hours to place the implants. Directly following the surgery the existing lower full denture can be adapted to fit onto the implants. This process can take a further 1-2 hours to complete. 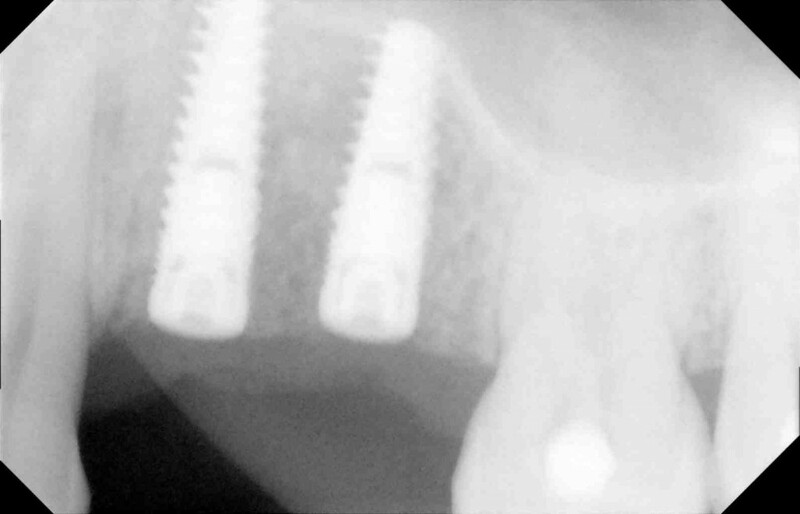 What maintenance is needed when having dental implants for denture stabilization ? A denture which is supported on dental implant is known as an over-denture. With both conventional dental implants and mini dental implants, the over-denture will requires some maintenance long term. The small attachments which are set inside the over-denture will become ‘worn’ over time. The frequent ‘putting in and taking out of the over-denture’ will over time cause wear and tear on the small attachments. 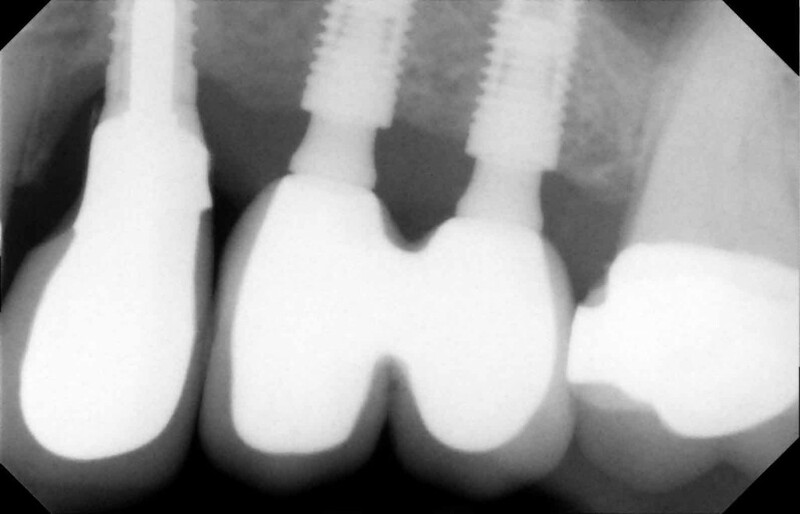 These attachments can be be easily and simply replaced with your implant dentist.